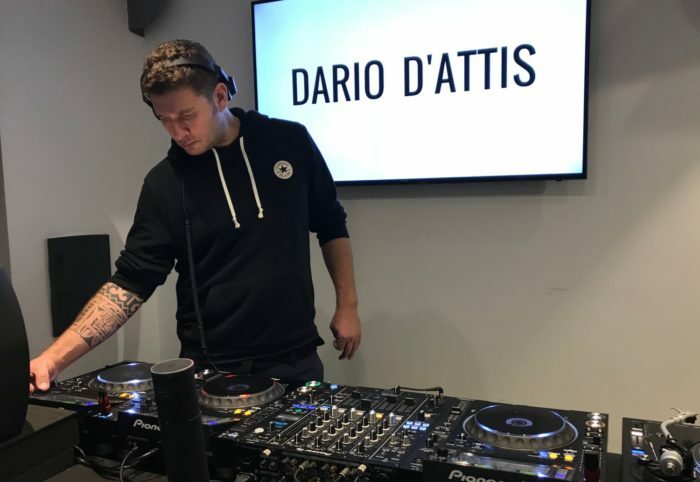 We had the chance to interview the producer and DJ Dario D'Attis during his visit to our headquarters in Milan. Dario D’Attis has been releasing music since 1999, which has seen him become a regular DJ on the Swiss underground club scene for many years. 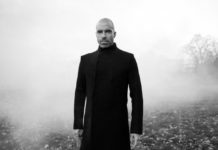 However, in the past three years Dario has started to attract the attention of global audiences with the likes of Marco Carola, Åme and Dixon supporting his music. 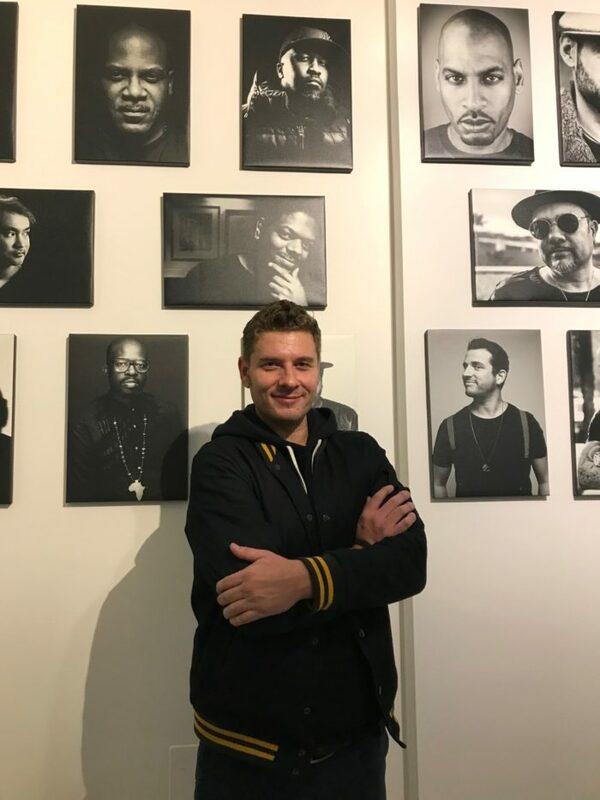 Recent releases on Hive Audio, Noir Music, Poker Flat Recordings, Strictly Rhythm and Defected Records have catapulted him into the spotlight, with tracks like “The Good Old Days” being a firm Ibiza anthem. This year his remix of Soul Vision “Don’t Stop” further made an impact in clubs around the world. 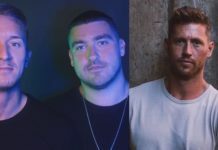 Alongside this growing international rise, Dario has been heavily involved with Hive Audio, leading to a residency at the legendary Zurich nightclub, HIVE. 2017 sees him push the envelope further on his productions, with original releases and remixes lined up on several high profile labels as well as a touring diary that sees Dario play across Europe and North America. Dario D’Attis posing in front of our Artists’ “Gallery Wall”. Hello and welcome to House of Frankie, Underground Radio in Milan, Italy. 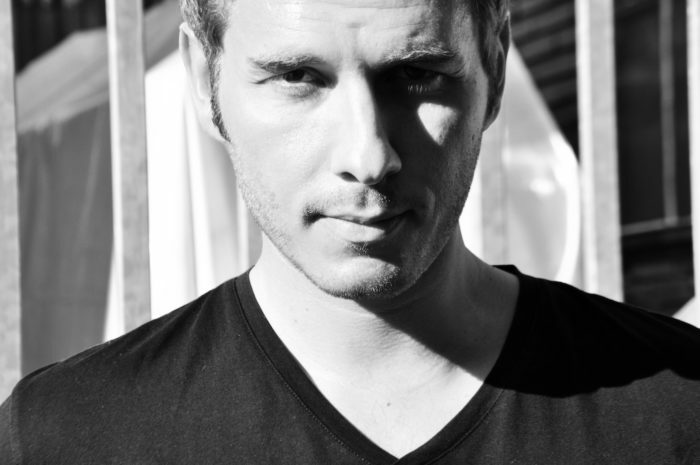 I have been joined by Dario D’Attis, producer and DJ. Hi, how are you Dario? Nice to have you here in Milan. So, let’s start with the interview. You have been on the music scene for nearly two decades, but how did you start your career as a musician? As I DJ or as a producer you mean? As a DJ, I started in a small bar, in Schaffhausen. It’s a bar for almost 50 people, 50 crazy people every Friday. We had like crazy, crazy parties. From this point, we started to organize our own nights. Yes, it’s a long time. Second question for you: do you have any inspirational figure in your life, someone who has inspired you? Oh, I have a lot of inspiration. It’s different every day! I get inspiration from everywhere, family, friends, nature. Yes, it’s not always positive but I get inspiration from everywhere. 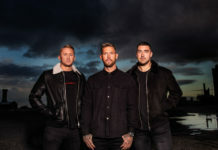 What’s your favourite collaboration you have ever made? Do you remember where your first gig was? My first gig was at this kind of bar called “Kaktus“, in Schaffhausen. Yes! A lot of good memories, but main memories when he came to play in Switzerland and I heard “The Bounce”, produced by Kenlou, for the first time. I don’t know, I think it was 1999. He gave us a lot of good experiences and good, good music. So, yeah, Frankie, thank you for everything! 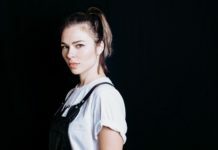 I know you have played in some of the most important festivals like, Motion in Bristol, La Rocca, Montreaux Jazz Festival and Defected Festival in Croatia. what’s your favourite festival to perform at and why? Oh, I think I was lucky this year, I played some cool festivals, but the craziest thing I have ever had as a festival it’s the Defected Festival in Croatia. It was incredible! I can’t describe it in words, you have to be there and feel it, because it’s like sun, beach, crazy people everywhere. Everyone is there because of music, they are really professional, they treated like family, felt like home, it was just incredible and you know playing on the beach and having party all day, all night, it was like living a dream. Tonight, you will perform at Circle, here in Milan, one of the Italian city which is becoming really preeminent in the underground scene. 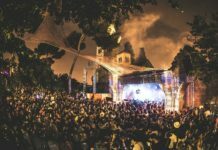 What’s your relation with Italy and what do you know about the European underground music scene and about the Italian one? What I think? It’s difficult because I’m not living in Italy but when I was young I started to go out in clubs like Peter Pan in Riccione, Villa delle Rose, and for me it was always an important part of my career to listen to DJs like Massimino Lippoli, DJ Ralf, Sandro Russo… All this kind of (Italy) coast, the Rimini scene. I’m really influenced by this kind of music, so I think the Italian music scene is still active. I like it but I can’t tell you much because I’m not living here but for me is a positive thing. Some of your fans want to know what equipment do you use during your live performances? I use (Pioneer DJ) CDJs with Rekordbox and fast USB keys. Yes, that’s all! But let’s not forget good headphones! Dario D’Attis during his live DJ set at House of Frankie. You started with vinyl. How much do you think technology has changed the music scene? You know the media have changed but a DJ has still to play good music and to listen to music. You know, technology changed a lot and I really miss vinyls but I still do the same. You know, with the CDJ you still do the same movement, you still have to feel the same for the people, so I think if you love music, it’s still the same. I just give music to the people in a different way. I’m not that kind of old school guy who says “just vinyl, just vinyl!”. I know vinyl is a great thing and I love to play it but I’m also happy when I can travel with less weight. So, that’s fine! So, last question: What else have you got coming up? Your next projects? My next projects are some remixes and a collaboration. I have a new EP on Safe Music Records from Nic Fanciulli, then I have another EP on DFTD with Sven Tasnadi from Germany. Then I remixed “Cola” from CamelPhat and I just finished a remix for Massimino Lippoli yesterday and… what else? Yeah, Touring! I play tonight at Circle and I’m very happy to be part of this! And tomorrow in Berlin at Kater Blau with Mihai Popoviciu and next week I’m in Amsterdam with you guys! Thank you, Dario! It was great to have you here! See you soon! 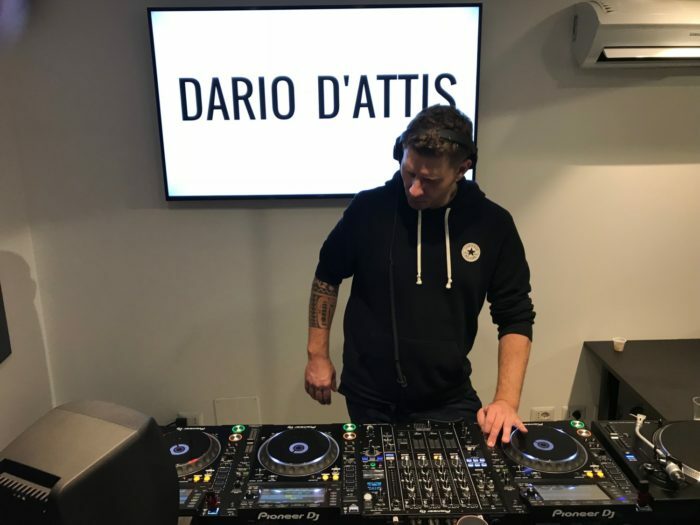 Watch Dario D’Attis live DJ set at House of Frankie below! Listen to Dario D’Attis’ latest releases below!